Acupuncture is a part of the traditional medicine of China and the Far East, where it has been developed and practised for several thousand years. It is a branch of a complete system of healthcare with a continuous history of detailed clinical observations. Acupuncture has traditionally been used to treat a range of health-related symptoms and conditions and also preventively to maintain and promote mental and physical wellbeing. Today acupuncture is practised all around the world, both as stand-alone treatment and alongside mainstream healthcare. Traditional Chinese Medicine understands and defines health as the body’s energetic balance. Many factors can affect this state of healthy balance. These include physical trauma or injuries, emotional states such as stress, anger, and anxiety, as well as poor nutrition and lifestyle factors. By inserting fine needles into specific points on the body, acupuncture aims to stimulate the body’s own healing responses and restore it to a state of healthy balance. 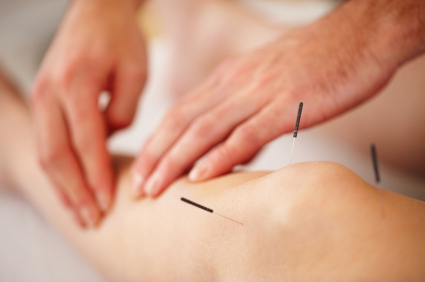 Traditional acupuncture also includes the use of moxibustion, which uses gentle heat to stimulate acupuncture points. There is a growing body of evidence-based clinical research which shows the effectiveness of acupuncture for a wide range of common health conditions. Many people choose it to relieve pain, others for its therapeutic effects with a specific condition or symptoms. Some might come for more general, often stress related symptoms, to enhance their general feeling of wellbeing or to maintain good health. For a detailed list of conditions acupuncture has been shown to be effective with please click here. At your first consultation you will be asked in-depth questions about your condition, your medical history and your general health. Palpation of the channels and the pulse and observation of the tongue also form part of the diagnostic process. This information allows the practitioner to build up a comprehensive picture and to formulate a treatment plan, which is individually suited to your characteristics and symptoms. For the treatment a number of fine, sterile disposable needles are inserted into specific sites on the body where qi or energy can be influenced. Since the needles are very thin they usually cause no discomfort. Once they are in place different sensations may be felt such as numbness or tingling either around the area needled or in other parts of the body. The needles are then left for 20-40 minutes, depending on each case, while you are relaxing. Most people experience acupuncture to be deeply relaxing, both during and after the treatment. Moxibustion, the application of gentle heat using a therapeutic herb, may also form part of the treatment, usually in combination with needling. Dietary choices and lifestyle factors may be discussed and appropriate changes including exercises recommended to help you achieve and maintain optimum health and well-being. A regular course of treatments at weekly intervals is usually recommended. This might be followed by less frequent visits as your symptoms improve. For acute conditions fewer treatments might be needed, but at shorter intervals. You will be able to discuss how your treatment will progress at your first consultation.